We believe that your business and your brand deserve strategy, creative, and an award-winning experience that works. 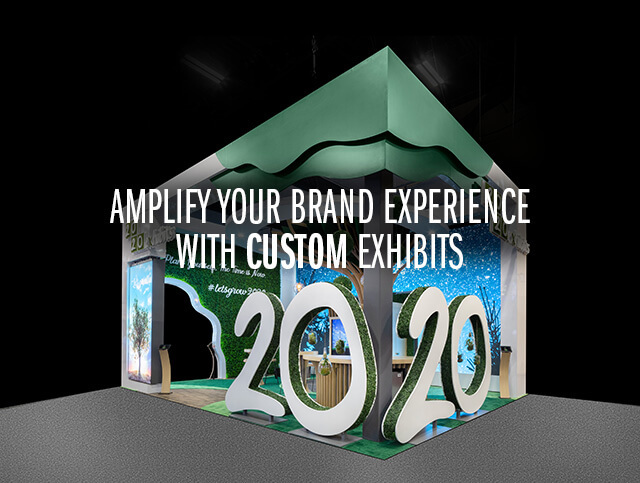 As a global leader in the design and production of tradeshow displays and custom exhibits, global events, branded environments, and signage, 2020 Exhibits creates engaging, memorable and measurable brand experiences that accelerate engagement and drive results. Offering an extensive selection of custom trade show displays and exhibit services focused on making your event a success and driving results through strategic pre-show trade show marketing and planning to onsite support and services, we leverage the power of brand experience to drive connection and bottom-line results. Moving the needle and compelling audiences to action through the design and delivery of unique, impactful events and engagements worldwide. 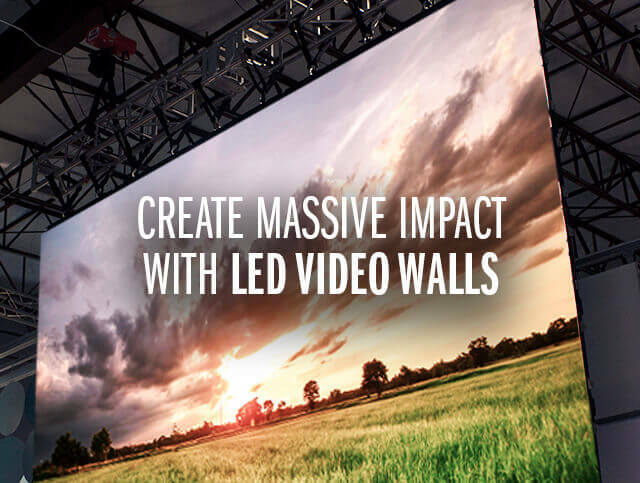 Create a measurable competitive advantage, enhancing performance, increasing engagement and brand culture through dynamic, immersive, and well-branded environments. From the ground up, we consult, design, fabricate, and install distinctive environmental graphic and signage solutions with inspired design and exceptional curb appeal. Leading with exceptional creativity, objective-driven strategy, and seamless program execution, we combine data, insights, creative and targeted strategy to bring brands to life. Blending function, exceptional design, quality fabrication and seamless installation throughout North America, the Signage Group is a leader in environmental graphic and interior signage consulting; creative signage development; and signage system design. Our clients include a broad range of multi-family, residential and corporate campuses and communities nationwide. From the inception through to installation for multi-family, residential and corporate interior and exterior signage and graphics, our expert team of seasoned signage professionals specializes in the planning and design of solutions that enhance the way people experience and move through an environment. With decades of collective creative and strategic experience in architectural, corporate, retail and multifamily signage, the Signage Group brings an unparalleled understanding of mixed-use developments, condos/townhomes, multi-family developments as well as senior and active adult communities. We are passionate about finding creative and dynamic solutions to signage challenges, with a deep and practical understanding of ADA-compliance and sign code requirements. Our craftsman, OSHA-certified fabrication & installation and safety-trained professional team work together with our in-house design staff & architects to build and manufacture the custom signage and graphics. 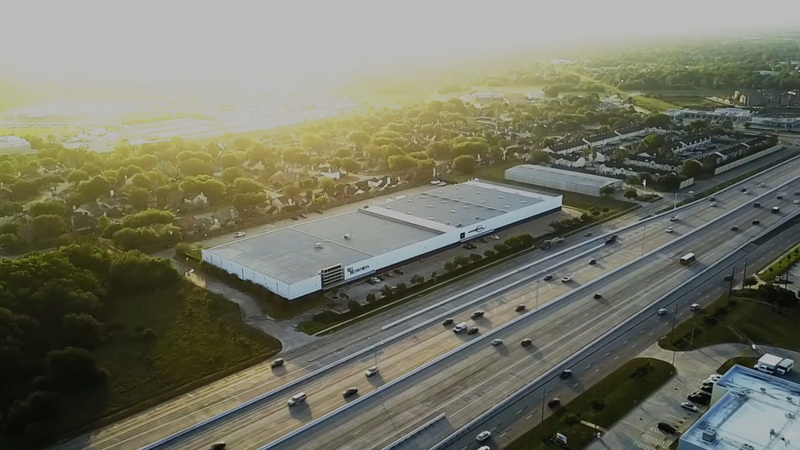 2020 Exhibits is pleased to announce the continued expansion of its Las Vegas operations, moving to a larger facility to better serve and support the needs of its clients and growing business. The Las Vegas office provides a full-service exhibit rental depot, integrated audio/visual rentals, on-site labor and supervision plus comprehensive program management and storage, to help event marketers and managers drive down their cost of exhibiting in Las Vegas and see greater ROI on their programs. Las Vegas boasts having more than 10.6 million square feet of exhibit space and is home to three of the country’s ten largest convention venues: Mandalay Bay Convention Center; Sands Expo and Convention Center and the Las Vegas Convention Center. 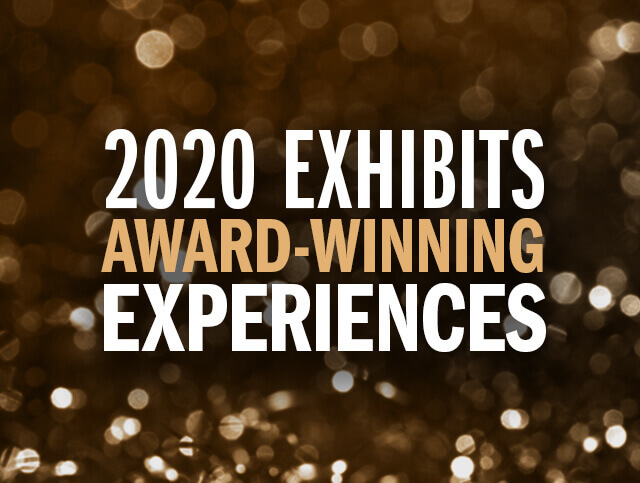 2020 Exhibits’ Las Vegas expansion is a natural fit to support their clients, driving their business with trade show and event marketing programs. With a full service exhibit rental depot, integrated audio/visual rentals, tradeshow exhibits, interactive multimedia, on-site labor and supervision plus comprehensive program management and storage, 2020 Exhibits Las Vegas helps event and tradeshow managers and marketers drive down the cost of exhibiting, realize true savings and see greater ROI on their event programs. From exhibit storage, to a full spectrum of exhibit rentals along with seasoned I & D professionals, 2020 Exhibits Las Vegas turns hard costs into savings for our clients.